The slice in golf is the most frustrating problem golfers have. But what causes you to slice? Most golfers have a swing that is either outside-in or inside-out producing side-spin on the ball. Everyone knows that side-spin causes either a hook or a slice. Since most golfers have difficulty correcting their outside-in or inside-out swing, physics shows us that they can easily minimize side-spin by reducing the friction between the club face and ball. Additionally, by eliminating most of the side-spin, the velocity on the ball will be more directed towards the target (instead of being wasted on side-spin) allowing it to travel a greater distance. 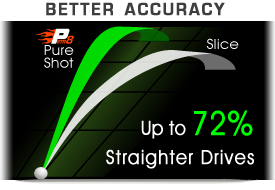 Power Straight®, a patented nano-polymer friction modifier, was specifically created to reduce side-spin and help beginner and average golfers correct their slice to improve their game and have more fun. 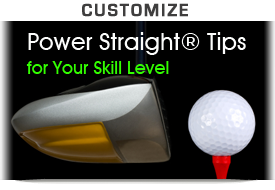 Power Straight® will absolutely reduce side-spin and, therefore, will reduce your slice or hook. Guaranteed! 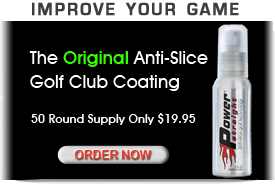 Power Straight® Anti-Slice Golf Club Coating© is pure science; not a miracle. Although Power Straight® will help you hit the ball longer and straighter, it requires solid contact on the ball. If you shank, top or pull the ball, you will still need to work on your swing. By applying Power Straight® to the club face, you can expect an average improvement in accuracy of 28 degrees and up to 13% increase in distance. If you have a slice or hook, that can mean the difference between being in play or out of bounds, landing in the fairway or the rough, or winning or losing. Try it for yourself with our risk-free trial. If you're not 100% satisfied, we'll refund your money...hassle-free. Power Straight® Anti-Slice Golf Technology© was developed by the team at US Envirotech, Inc. – a company specializing in friction reducing nanotechnologies. US EnviroTech's team of scientists, professional golfers, and high-stakes golf gamblers recognized a need for an easy fix for the most common problem in the game – the golf slice (or hook). 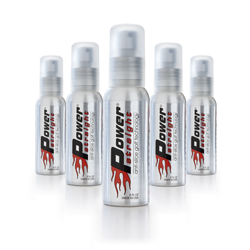 After nearly three years of reseach, Power Straight® was developed. Before Power Straight® Anti-Slice Golf Club Coating©, players used a variety of greases to reduce friction off the face of their club to eliminate side spin. The only problem – players needed to apply grease at every tee box making it easy to detect. Since most high-stakes golf gamblers don't want competitors to know their secret, they needed a golf club coating that works better than any grease, lasts a full round, and is undetectable. To meet this demand, our team of golf pros, high-stakes golf gamblers and scientists developed Power Straight®. Now, this advanced technology is available to you! Power Straight increases distance and accuracy. I know of no swing trainer, golf club, video or golf lesson that produces such immediate results. Power Straight works right away." At first I thought it was just another crazy golf gift from my wife. But when I used it I was blown away. It really decreased my slice. The stuff works!"